Description: Sam recaps all the racing action from last weekend including Moto GP, Canadian James Hinchcliffe capturing the pole for the 100th Indy 500 and NASCAR from Charlotte. Check back on Sunday for Sam's RACE DAY EDITION as he gets us "up to speed" for the busiest racing weekend of the year! SOUND OF SPEED available ON DEMAND anytime, anywhere on any device from our NEW Beach BOOSTER Radio Podcast Page! Photo: Hinchcliffe wins the pole. 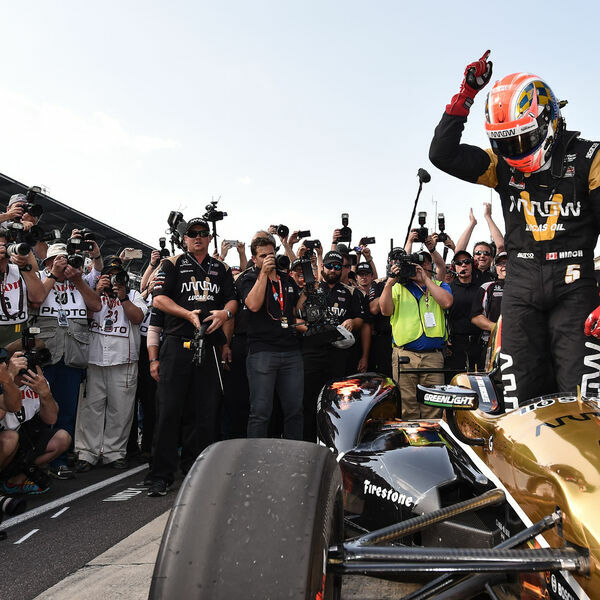 Sam recaps all the racing action from last weekend including Moto GP, Canadian James Hinchcliffe capturing the pole for the 100th Indy 500 and NASCAR from Charlotte. Check back on Sunday for Sam's RACE DAY EDITION as he gets us "up to speed" for the busiest racing weekend of the year! SOUND OF SPEED available ON DEMAND anytime, anywhere on any device from our NEW Beach BOOSTER Radio Podcast Page! Photo: Hinchcliffe wins the pole.